The 12th annual No Buts About It 5K will begin at 9 a.m. March 23 at Welcome Stadium in Dayton. 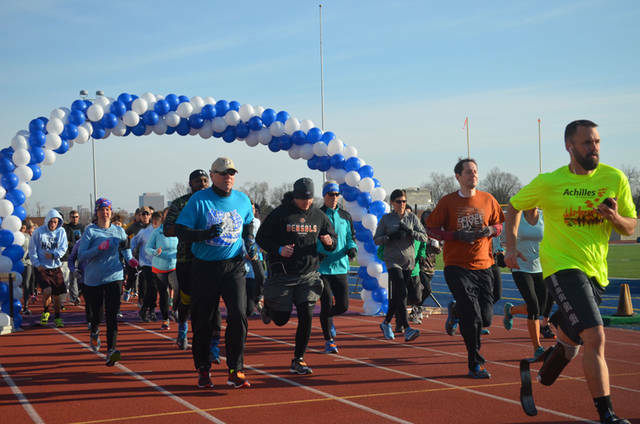 DAYTON – No Buts About It, a nonprofit 501(c)3 organization, will host the No Buts About It 5K Run/Walk at 9 a.m. March 23 at Welcome Stadium in Dayton. The event is held every March during Colorectal Cancer Awareness Month and is presented by Dayton Gastroenterology, the largest gastroenterology practice in the area. The 12th annual No Buts About It 5K will continue the tradition of saving lives through education and increased awareness of colorectal cancer, as well as emphasizing the importance of early screenings among the Greater Dayton community. Net proceeds raised from the 5K are used to fund screening colonoscopies for uninsured persons in economic hardship. No Buts About It, as a nonprofit organization and 5K event, was founded in 2008. Since then, the family-friendly race has grown in size each year to reach more than 1,000 participants. The course at Welcome Stadium runs along the Great Miami River, offering runners and walkers a scenic view of downtown Dayton skyline and Carillon Historical Park. Colorectal cancer is the second leading cause of cancer deaths in the United States, but it also is one of the most preventable forms of cancer. Early screening colonoscopies reduce the risk of colorectal cancer by 80 percent or more. Participants may register for the 12th annual No Buts About It 5K Run/Walk online, by mail or in person. Registration fees are $25 if pre-registered by March 19 and $30 on race day. In-person registration and check-in begin at 7:30 a.m. on the morning of the race. Visit nobutsaboutit.org to learn more and register.